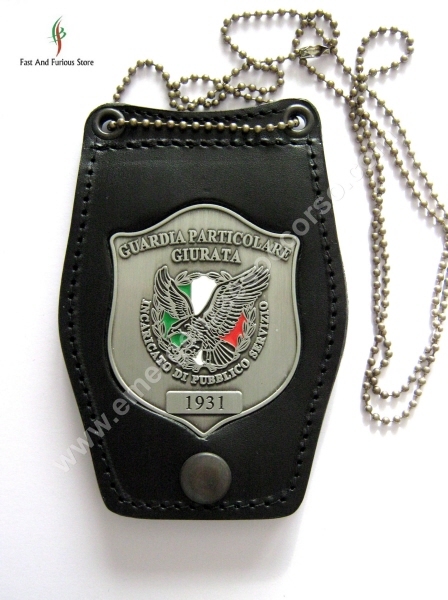 Porta placca da collo con passante cintura "GUARDIA PARTICOLARE GIURATA - INCARICATO PUBBLICO SERVIZIO ®"
© 2011 Fast And Furious Store - P.Iva 04651920961 - All Rights Reserved. The best eCommerce software by ShopFactory powers P5. All-in one eCommerce and shopping cart software.